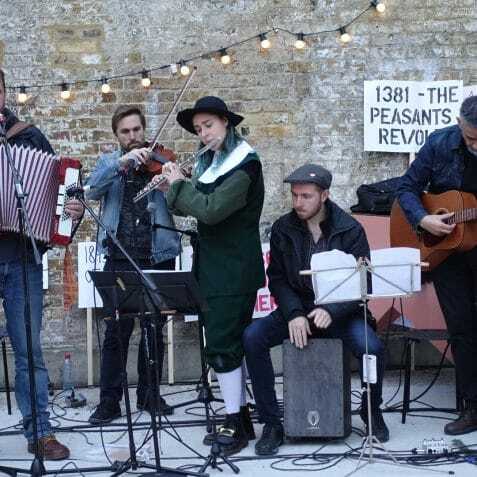 South London’s premier gay socialist folk band teams up with a C17th rebel to uncover England’s history of protest and ask what it all means today. Expect a song, a dance and perhaps the start of the revolution! 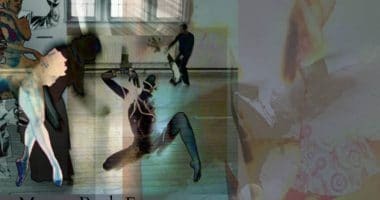 The Black Smock Band and Daedalus Theatre Co. have worked with Tower Hamlets residents and students from Queen Mary University to create a truly unique, local gig-theatre performance. 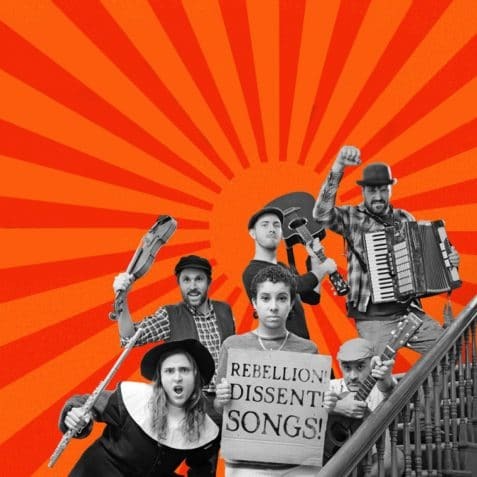 They also invite you share your thoughts on East London life over a cup of tea at their pre-show tea party, along with a spot of placard-making and protest-song writing too, if you fancy. Part of a long-term project to explore past and present stories of protest and dissent, this performance has been made with local residents and students from Queen Mary University of London with a special focus on current and historical protest and dissent in Tower Hamlets. It was developed at Ovalhouse in South London through a series of scratch performances leading to a commission to create a full production for Brixton City festival. The Mobile Incitement Unit itself; a portable installation by artist Andy Bannister containing all the elements needed for the rest of the project. They plan to tour the piece nationally in 2019.